We are a locally owned mortgage brokerage company founded in 1985. 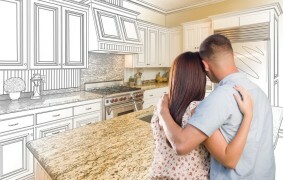 Having been in business for over 30 years we have helped thousands of Texans purchase or refinance everything from their first home to investment properties, which have helped, build their net worth.We have done this by offering a wide range of home loans including FHA, FHA 203K, VA, Conventional, Tex-Vet, USDA, One-Time Close Construction Loans, FHA 203 h, First Time Home-buyers and Home Equity Loans throughout the State of Texas. 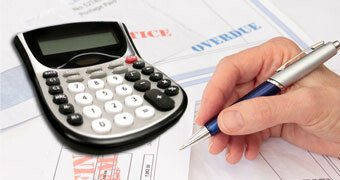 Calculate your monthly mortgage payment using the free calculator above. A house is the largest purchase most of us will ever make so it’s important to calculate what your mortgage payment will be and how much you can afford. Buying a house is a huge decision, probably the largest financial investment you will make. Take advantage of our Homebuyer Resources and let them help guide your decisions throughout the homebuying experience! We work closely with a network of Recommended Professionals who we know will take care of our clients. Click on the link above to view our trusted partners. San Antonio Mortgage Broker For: Any First-time Homebuyers (or) anyone building their dream home. We have loan programs, and American Property Financial charges no origination fee for you. If you’re a First Time Buyer and lacking money for a down payment check out Help In Buying. 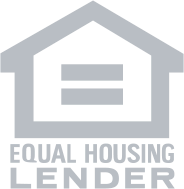 Featuring information on Down Down Payment Grants, and $0 down payment programs. We are “The Most Creative Mortgage Lender in San Antonio” for a reason. American Property Financial provides service based on your needs. Like developing programs to finance Manufactured homes loans. What we do is not rocket science, but with our experience and familiarity with San Antonio mortgages we can help. Save money, stress, and time by structuring your mortgage loan today. We are a locally owned mortgage brokerage company founded in 1985. Having been in business for over 30 years we have helped thousands of Texans purchase or refinance everything from their first home to investment properties, which have helped, build their net worth.We have done this by offering a wide range of home loans including FHA, FHA 203K, VA, Conventional, Tex-Vet, USDA, One-Time Close Construction Loans, FHA 203 h, First Time Homebuyers and Home Equity Loans throughout the State of Texas. Thanks for visiting American Property Financial Inc.. Local expertise and broad real estate experience will benefit you whether you are serious about buying or selling a home at this time, or are a returning client checking out the many homeowner resources offered here. Click here for more information about American Property Financial Inc.